Townsville’s has four unique Botanic Gardens: Anderson Gardens, Palmetum, Queens Gardens and Dan Gleeson Memorial Gardens. Each garden features a diverse array of plants and wildlife and interesting collections from around the world. Retreat to the gardens for a relaxing walk or bike ride and enjoy the spectacular scenery. Only Anderson Gardens is open to vehicles, and all four gardens have walking and cycling trails. For more information on the gardens, see the brochure links below. Vehicle entry point located at Gulliver Street, Pimlico. Walking/cycling entry points located at Gulliver Street, Balls Lane and Wellington Street Mundingburra. Anderson Gardens is the largest botanic garden in Townsville. Covering 25 hectares, the gardens include fine specimens of tropical trees and palms, grand avenues and the World Cycad Collection. Originally planted as an arboretum, the collections are developing with a strong emphasis on native and dry tropical plants. With substantial botanic credentials, including the Cape York Peninsula Collection, one of the world's largest collections of Pandanus and the Tropical Orchard, everyday visitors as well as botanical enthusiasts can enjoy the diverse range of flora in Anderson Gardens. Initiated in the early 1930's, the garden today is an innovative botanic accomplishment and a wonderful public asset. Anderson Gardens are open to the public between sunrise and sunset. Gates will be closed at other times. Main entrance located at University Road, Douglas. The Palmetum is a 17 hectare botanic garden displaying one of the largest and most diverse public collections of palms in the world. A 1998 Bicentennial Project, this internationally recognised attraction was supported and planned by the Townsville community and organised through the Townsville City Council Parks Services. The extensive palm collection displayed in a variety of habitats is the main feature of the gardens; Pandanaceae and cacti and succulents are also well represented. Tumbetin Lodge at the main entrance is an example of local heritage architecture and contains a café and visitor facilities. The Ross River Bikeway runs between the gardens and the river. Open to the public between sunrise and sunset. Gates will be closed at other times. Entry points located at Paxton Street and Gregory Street, North Ward. Initiated in 1870, Queens Gardens is the oldest Botanic Garden in Townsville and is heritage listed. Now covering 4 hectares, reduced from an original 40Ha, it is considered a fine example of a tropical colonial garden of that era. Originally established as a trial acclimatisation garden for European settlement, in which potential food and economic plants were trialled during the era of colonisation. Today the gardens are a lush green oasis set against the dramatic pink granite cliffs of Castle Hill, and offer a quiet cool retreat from the nearby city centre. The emphasis of the current plant collection is on colonial ornamental plants with colourful, attractive flowers, foliage or fruit. 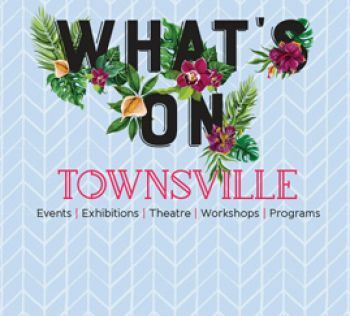 Townsville residents use its luxuriant gardens for leisure and recreation, while the City Council and community groups utilise its green splendour to stage a variety of special events. Main entrance point located at Thuringowa Drive, Thuringowa Central. Dan Gleeson Memorial Gardens, whilst not run as a botanic garden it is a pleasure garden maintained to the same high standards and featuring beautiful locations for special events. Originally conceived as a Bicentennial project, Dan Gleeson Gardens is set on about 5 hectares. The gardens are composed of a wide range of native and exotic trees, shrubs and palms, which are situated amongst large lawn areas and paved pathways.